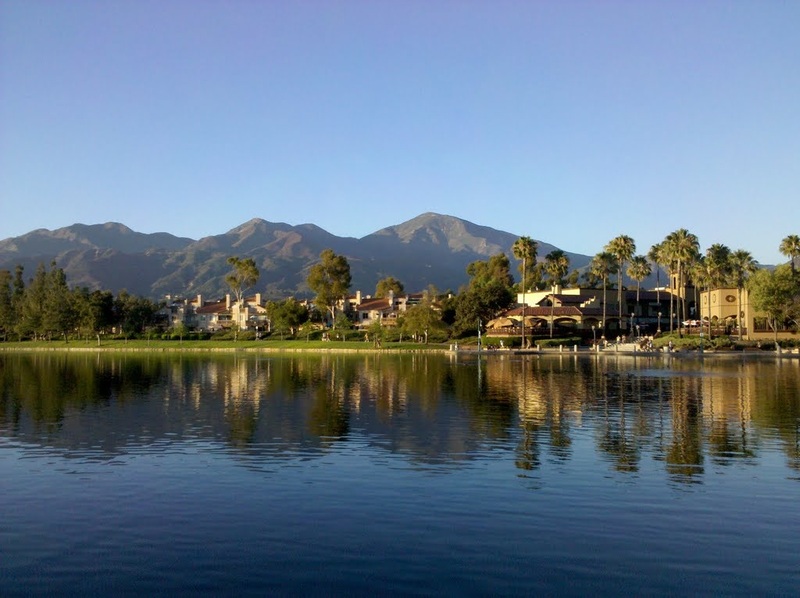 Most of the neighborhoods in RSM are maintained by larger homeowner's associations including Melinda Heights, town center, Dove Canyon, Rancho Cielo, Robinson Ranch, and Trabuco Highlands. Dove Canyon, Trabuco Highlands, Robinson Ranch, and Rancho Cielo were all established before Rancho Santa Margarita was an incorporated community. East of Plano Tabuco Road is designated with a Trabuco Canyon (92679) zip code even though the area falls within the City of Rancho Santa Margarita boundary. The television series The Real Housewives of Orange County, although based in Coto De Caza, is mainly filmed in Rancho Santa Margarita where many of the housewives do business, shopping, commuting, and dining. The city's name often creates confusion: people in the Las Flores, Dove Canyon, Rancho Cielo, or Robinson Ranch neighborhoods, for example, can receive mail addressed to them at Rancho Santa Margarita, Dove Canyon, Coto de Caza, Robinson Ranch or Trabuco Canyon. A map of Orange County seen in season four of Arrested Development places the fictional Bluth Company-developed community of Sudden Valley northeast of Mission Viejo and Las Flores, in the approximate location of Rancho Santa Margarita.